Using a Flat Top in your kitchen for the first time can be a learning experience. If you're used to cooking with regular skillets and pans the stove settings and cooking times can be quite different from what you'll use on the Flat Top.. The role of any cookware is to take heat energy from a source - flame from a gas burner or radiant heat from an electric coil - and transmit it to the food in the form of cooking. Steel is extremely efficient at heat transfer, but what is far more important than the material of the cookware is the thickness of the cookware. The thicker the cookware, the more evenly the heat will be spread across the surface and the faster it will transmit to the food. The Steelmade Flat Top is made from 3/16" thick steel and is 1.5 times thicker than cast iron skillets and over 2.5 times thicker than common steel or stainless steel skillets. 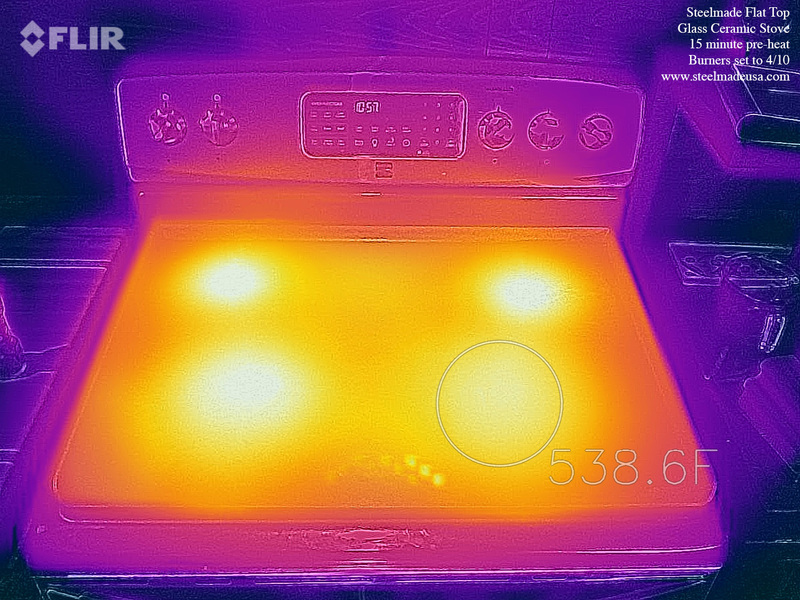 This much greater mass means better heat distribution for more even cooking and faster cooking times. Just like any new tool it may take some trial and error to find the best settings on your particular stove to get the temperature and cooking times you like to work with. 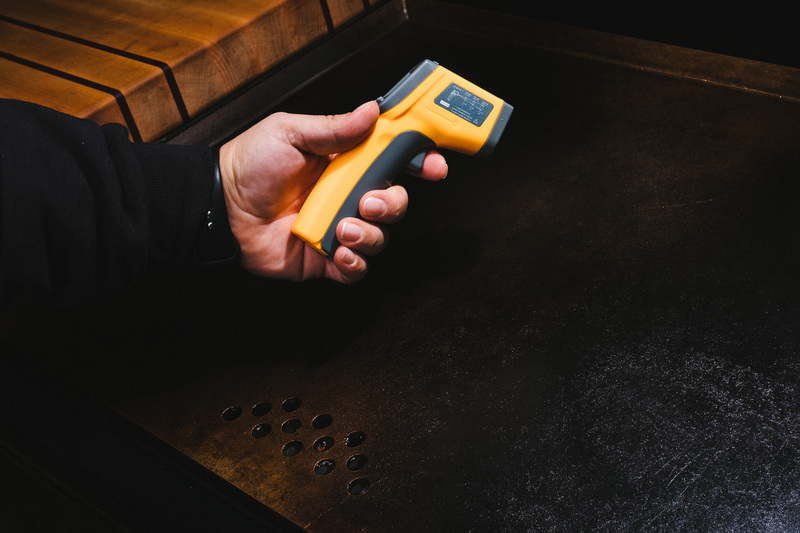 We do believe that an infrared thermometer is an invaluable tool for finding the perfect temperature on your Flat Top. It's also a perfect companion to your backyard grill and any other piece of cookware you use. Check out our handy chart below for our recommended cooking temperatures! 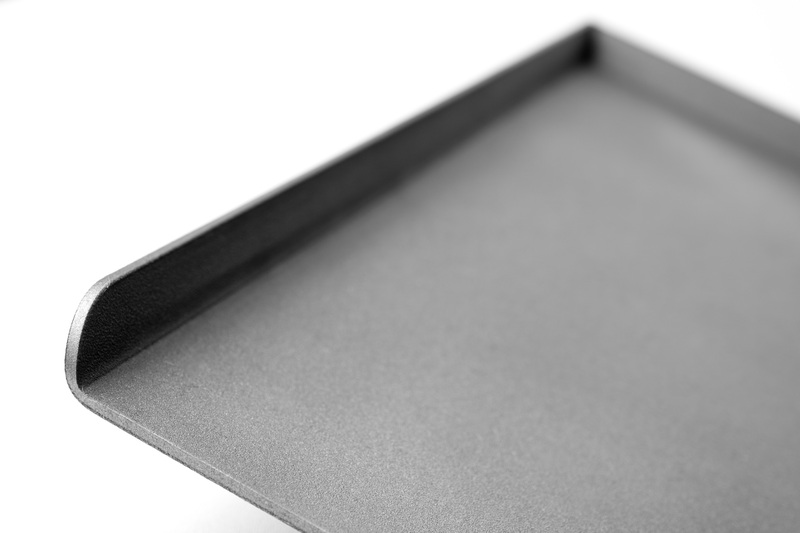 The Flat Top is designed to handle a maximum temperature of 600 degrees while most cooking occurs well below 500 degrees. It's important not to heat the Flat Top beyond the recommended temperature to prevent any potential warping or damage to the Flat Top itself. Most stoves will require only 1/3 power to heat the Flat Top to 400 degrees or more.